Facial cleansers run the gamut from solid to liquid, gel to cream, costly to cheap. Though their purpose seems obvious, there's more to facial cleansers than meets the eye. Each type is specifically designed for unique skin types - normal, dry, oily, combination, sensitive or a combination of these. In addition to cleansing the skin, these products work double duty, promoting moisture, oil control, healing and other benefits. The face is exposed to harsh elements and potentially polluted air on a regular basis, leaving it vulnerable and susceptible to long term irritation. Thus, it is best to choose a facial cleanser that is hypo-allergenic, fragrance-free and non-irritating - essentially, one that is gentle enough for everyday use. Soap: It is generally not advisable to use bar soaps on the facial skin, due to their harsh ingredients, including fragrance, deodorant and strong detergents. These particular soaps are more often used on the body. The face, however, is extremely delicate and requires something more gentle. Syndets These are soap-free cleansers, and are appropriate for facial cleansing. Examples include beauty bars, such as the famous Dove version, and sensitive skin bars, made popular by Aveeno. These types of bars have a lower pH than bar soaps, making it less likely to cause irritation. 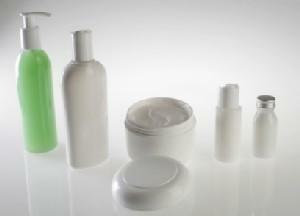 They may also contain moisturizers, an additive found in dry skin cleansers. Syndets are not recommended for oily skin types, as they are less inclined to remove excess sebum (skin's natural oil). Liquid soaps Examples of liquid soaps include products from Clinique, which clean the skin without stripping it of protective lipids. Less thick than creams and gels, it is effective in removing makeup and light debris. Cream: Rich and hydrating, cream facial cleansers are outstanding options for those with normal to dry skin, delicate skin or sensitive skin. Milks, mousses and balms are also included in this category. These facial cleansers gently dissolve makeup, dirt and grime, leaving the skin moist in the process. Gel: Cool and refreshing, gel facial cleansers are ideal for those with combination to oily skin. Refreshing oily skin, gel cleansers lightly foam up to lather away debris. Soap-free and oil-free, they work without over drying the skin. The market is diverse and ever-growing, the list of ingredients daunting, the brand names innumerable. With such a vast selection of facial cleansers to choose from, the decision can be overwhelming. Here is a list of recommended products that cover all skin types and price ranges. Cetaphil Gentle Skin Cleanser: Originally formulated for dermatologists and now recommended by them on a daily basis, Cetaphil is fragrance-free and non-comedogenic. Without stripping the face of its natural oils and emollients or disturbing its natural pH balance, this highly-lauded facial cleanser efficiently removes makeup and other debris. Crème de La Mer The Cleansing Lotion: The legend that is La Mer is not new to beauty aficionados. The renowned and extremely high-end brand's ever-expanding line now includes facial cleansers. The Cleansing Lotion is a moisture-rich, milky concoction that does double duty: as it cleanses the skin, it also infuses it with La Mer's exclusive Deconstructed Waters. Olay Daily Facials Clarifying Cleansing Cloths: These soap-free cloths gently exfoliate and deep clean the skin down to the pores, reducing their appearance. Combination types will also benefit from this cleanser. Estee Lauder Sparkling Clean: This foaming gel cleanser contains a botanical blend of anti-irritants and hydrators, plus a rich combination of oil control ingredients. As it lathers, it removes debris and controls oil without stripping the skin. Elizabeth Arden Calming Foamy Cleanser: Deceptively thin, this liquid immediately foams up once dispensed into the hand. From there, it gently cleanses the skin while cushioning it with a blend of soothing botanical extracts. Redness is reduced and inflammation is soothed. L'Occitane Shea Butter Cleansing Water: A unique concept indeed, this cleansing water is enriched with refreshing orange blossom floral water, hydrating shea butter, and soothing cassia extract. It is ingeniously packaged in a plastic spray bottle, making it convenient and practical.